Stephanie Crosman appeared in Wrentham District Court on Sept. 26, 2017. Stephanie Crosman is nothing if not consistent. 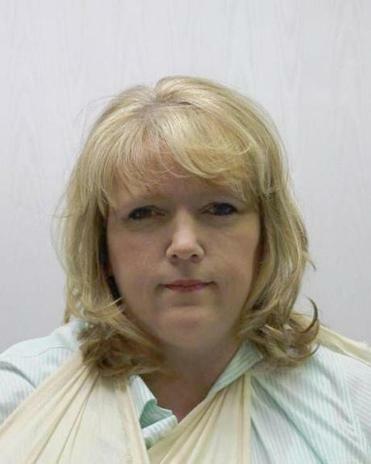 The home care worker from Sharon allegedly used the credit card of one client — a woman with dementia — to pay a $1,500 veterinarian bill for her cat, part of a freewheeling $16,000 spree. Another client, a woman in her 80s, accused Crosman of writing forged checks on her bank account. And Crosman’s own cousin reported Crosman to police, saying she stole expensive jewelry from her house. “Stephanie, unfortunately, has a problem when it comes to theft,” explained Crosman’s exasperated sister to Sharon police last February when they were investigating whether she had duped her dementia-impaired uncle into co-signing a $17,000 car loan. We want to know if you’ve had to hire a home health aide, and, if so, what was your experience. Her family believes she’s in Rhode Island or Connecticut and worries she may still be victimizing people. “She found a niche and she’s played that niche of home health care,” said Larry Crosman, her former husband and a Mansfield police sergeant. A Globe investigation last year found dozens of Massachusetts aides hired to care for elderly, sick, and disabled people at home have faced allegations that they abused or neglected their clients. But Crosman is emblematic of the serious lack of oversight of the home care industry. Chief among them is that no single agency in Massachusetts keeps track of the home aide workforce or ensures that crimes by aides are reliably reported to appropriate state agencies. Relatively few alleged abusers are prosecuted; when they are, they seldom get substantial jail time. The Board of Registration in Nursing, which oversees licensed practical nurses — some of whom do home care work — does not automatically check criminal records of applicants. The agency finally began investigating Crosman’s license in December based on a complaint, even though the department that oversees the board, public health, knew by 2011 that Crosman was facing criminal charges, according to correspondence obtained by the Globe. Crosman, who has never been convicted, seems to have an uncanny knack for identifying and capitalizing on weaknesses in the system. She’s escaped conviction in the past when, after multiple continuances, a key witness was not in court. Currently she is facing four pending criminal cases in Wrentham. Among her tricks: She uses different last names, including her maiden name, Healy. She frequently changes employers, alternating between an agency and working for herself. She sometimes skips her court hearings, claiming to be in the hospital. “One time she texted me to say she was having heart surgery,” Larry Crosman said, which turned out not to be true. The Globe tried to reach Crosman without success — by telephone, at home, and at courthouses when she was due for hearings, though she failed to show up. Her lawyer, William Galvin, said she denies the charges. Home aides in Massachusetts do not need a license and, unlike in 17 other states, the FBI doesn’t check the backgrounds of agency workers. “Why isn’t there some sort of agency or commission that oversees all of this, where families can go to protect their loved ones?” laments Crosman’s sister, a certified nurse’s aide who works in a facility with dementia patients. State Representative Mathew Muratore, a Plymouth Republican, introduced a bill last year to license home care agencies and improve training and supervision of workers, but the session ended without it coming up for a vote. “There are cracks in the system — judicial as well as licensing — that we have to deal with legislatively,” Muratore said. A Department of Public Health spokesperson said the department cannot comment on Crosman’s case due to the investigation that began in December — the month the Globe contacted DPH about her. “DPH takes allegations of wrongdoing by individuals who are licensed or certified in the state seriously and uses the full weight of our statutory authority to investigate and hold those who violate the law accountable,” the spokesperson said. Little in Crosman’s background suggested the turn her life would take. She grew up in a loving family in Sharon, relatives say. After high school, she joined the Army reserves, married, and raised four children in North Attleborough, though the couple divorced in 2011. “We had four kids together, and a normal life,” Larry Crosman said. “I wish I knew if it was alcohol or drugs or scratch tickets. I wish I could say that this is her problem,” he said. He said she had a job at the YMCA in Foxborough in the gymnastics department but was fired in 2009 after she was accused of rifling through visitors’ purses at birthday parties. The same thing happened in Attleboro, where she worked in a doctor’s office. And yet, “if you met her, you’d want to be her best friend,” said the cousin who claimed Crosman swiped $7,000 worth of jewelry from her house. In 2012, Crosman started working for Jane Armour, a Norwood woman with dementia. At the time, Crosman worked for a Wrentham agency called Circle of Care Services. 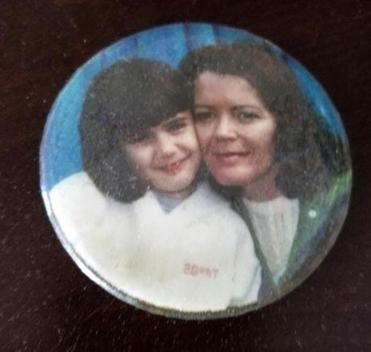 Jane Armour with her daughter Jennifer, circa 1987. Home care agencies in Massachusetts are mandated to perform criminal background checks on people they hire, which might have alerted them to past allegations against Crosman, even if she was not convicted. They’re also required to report employee misconduct to the Department of Public Health, which might have resulted in her losing her license. Circle of Care dissolved in 2017. Its former president, Eileen Walther, confirmed in a phone interview that Crosman worked for the agency at one time but declined to comment further. “It’s ancient history,” said Walther. Jennifer Armour said that in December of 2012, she was horrified to discover that her frugal mother’s credit card had a balance close to $16,000, including the bill for a veterinarian who treated Crosman’s cat. Crosman had changed the billing address of the card to her own address. Jennifer Armour reported her to police. The case dragged on. After Jane Armour died, her daughter, a social worker, continued pursuing it. “I wanted to be sure she would never do this work again,” she said. Finally, in 2015, Crosman admitted to sufficient facts on a larceny charge, which is a step short of a conviction. The case was continued without a finding, meaning that if she did not commit other crimes, the case would disappear after a year. But the judge did not order restitution nor ban Crosman from working with the elderly. No action was taken by the Board of Registration in Nursing. Crosman kept moving around and accusations kept piling up. There were the 2014 charges for driving an uninsured motor vehicle with a suspended registration. It was dismissed after she paid $250. 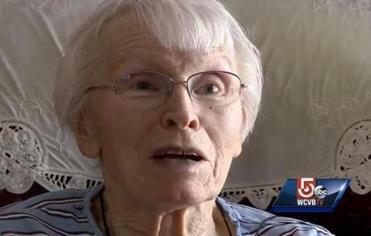 There was the trouble in Bellingham that same year, when she worked for Eleanor Nenart, an 84-year-old retired bank manager who’d had a stroke. Court records show Crosman gained access to Nenart’s bank accounts, wrote herself checks, and used debit and credit cards to make purchases and withdraw cash. She was charged in 2015 with stealing $12,000 from Nenart. The next hearing is scheduled for Thursday. 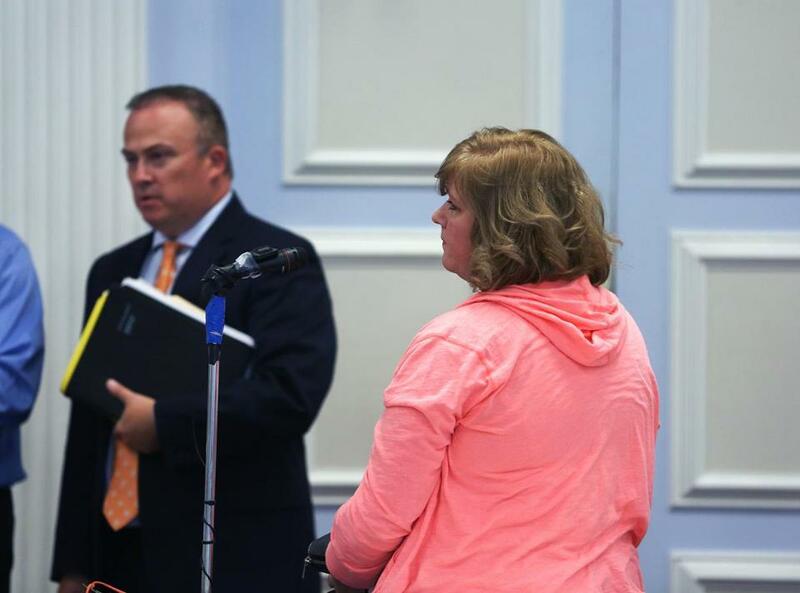 That’s the same day she’s due to face charges that she stole cash and housewares in 2016 while a personal care attendant in Walpole as part of a MassHealth program. The client was blind, quadriplegic, and non-verbal, according to the client’s older sister, Kim Meehan, and Crosman was renting an apartment in their mother’s home at the time. “She takes advantage of the weak and the sick and the elderly. It’s despicable,” Meehan said. Also in 2016, Crosman earned certification as a nurse’s aide, this time as Stephanie Healy. Her most recent alleged victim, according to a February police report, was her uncle, who suffers from dementia. Crosman allegedly took him to Carmax and persuaded him to co-sign a loan for $16,709.69. She is also charged with larceny and credit card fraud for allegedly charging $4,599 on her uncle’s credit card. The case is still open in Stoughton District Court, where a warrant has been issued for her arrest.